Lotree | May our skin grow beautiful, as we grow wiser. This ‘Marble Pact’ is actually a face highlighter powder. 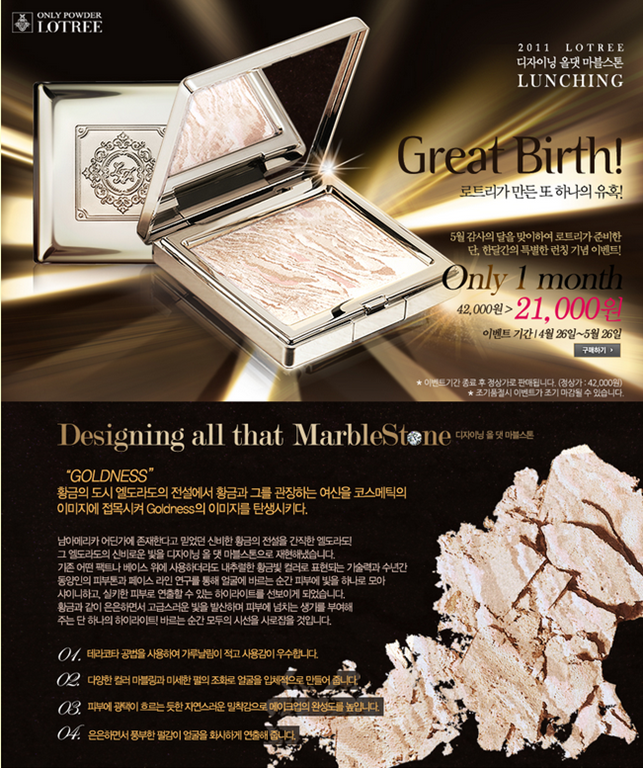 It is a combination of pink,white,beige,peach,and colored pearls to brighten up and illuminate your entire skin, transforming it into the superstar porcelain skin. The product is set to retail at 42,000 wons but there is a launching promotion at the moment, and it will be sold for 21,000 for a limited time ( probably till May ) so hurry up and head over to their Gmarket page : here .